Home Unlock ZTE How to Unlock ZTE MF915 WiFi MiFi Router? 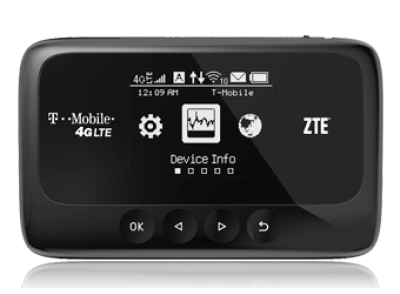 How to Unlock ZTE MF915 WiFi MiFi Router? Unlocking of ZTE MF915 is supported by SIM unlock code. Our team can provide the correct factory unlock code for all types of ZTE MF915 router. Once the device is unlocked you can use the default as well as another carrier SIM cards.ZTE has launched a new WiFi router, dubbed as MF915. It can connect up to 10 Wi-Fi-enabled devices. The ZTE MF915 can connect up to 10 Wi-Fi-enabled devices. It measures 4.25″ x 2.68″ x 0.65″ and the weight is 4.23 oz. It comes in black color and has an OLED display. It is built with MDM9225 processor. It can be operated on Windows 7/8, Mac OS & Linux. It is equipped with a 2800 mAh battery, that can provide up to 7 days of standby. The MF915 has 256MB RAM and 512MB ROM. It supports GSM: 850 MHz, 1900 MHz – UMTS: Band I (2100), Band II (1900), Band IV (1700/2100), Band V (850) – LTE band 2/4/12/17. It has Wi-Fi 802.11 b/g/n technology. How to Unlock ZTE MF915? 1. Switch Off the MF915 WiFi router. 3. Now connect the MF915 to PC using USB cable. 4. Browse for its default IP address (192.168.x.x). 7. Enter the correct unlock code which is provided by routerunlock.com. 9. Now your MF915 is unlocked forever. Note: SIMlock code of ZTE MF915 is not free, you need to pay. Correct factory unlock code will be emailed. Previous articleHow to Unlock ZTE Z222 by code? Next articleHow to Unlock ZTE Z915 WiFi MiFi Router?